(JTA) — “The world looked on during the rise of the Nazis, and cannot do so again,” Samantha Power, the United States’ envoy to the United Nations, warned attendees at a symposium in Krakow held on the eve of Israel’s Holocaust Remembrance Day. The anti-Semitic Nuremberg Laws institutionalized Nazi racial theories and, along with other laws, prevented marriage or other relationships between Jews and Germans and stripped Jews of their German citizenship. The Nuremberg Trials brought 13 Nazi war criminals to justice in the years immediately after World War II. The program on Wednesday came at the start of the annual March of the Living, which brings individuals from all over the world to Poland and Israel in order to study the history of the Holocaust and walk the three-mile path leading from Auschwitz to Birkenau on Holocaust Remembrance Day in tribute to the victims of the Holocaust. Sponsored by March of the Living International and organized with the Raoul Wallenberg Centre for Human Rights and Jagiellonian University in Krakow, the symposium brought together leading international jurists, legal scholars and political leaders from around the world. Former Canadian Justice Minister Irwin Cotler and Harvard Law School Professor Alan Dershowitz co-chaired the event with Nobel Laureate Elie Wiesel serving as honorary chair. 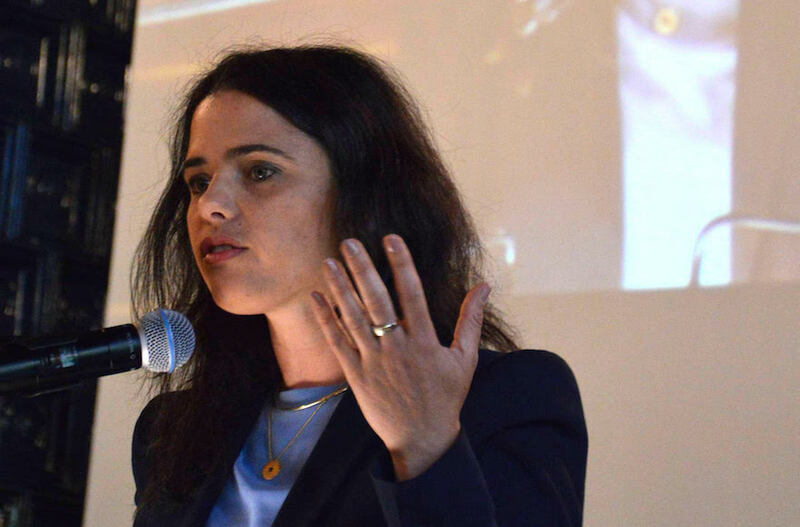 In her remarks at the event, Israeli Justice Minister Ayelet Shaked spoke of lingering anti-Semitism in Europe in the aftermath of the Holocaust. “It is an uncomfortable truth that anti-Semitism had not abated at the end of the war. We can witness anti-Semitism today, in fact the anti-Semitic voices seem to get louder and stronger still,” she said. She pointed to recent rhetorical and physical attacks against Jews and Israel in Europe, including the recent upheaval in Britain’s Labour Party over members and lawmakers whose harsh criticism of Israel and its Jewish supporters have led the party to launch an internal investigation into anti-Semitism. “I call the United Kingdom Labour leader Jeremy Corbyn to state clearly the Labour’s commitment to fighting anti-Semitism. Mr. Corbyn must clarify that anti-Semitic comments are not within legitimate political debate, and that anti-Semitic views should end a politician’s career and disqualify from any future public office,” Shaked said.